Download Music Mp3 titled "Put The Blame" by Coco Billz, Click the below link to download and listen to the song. 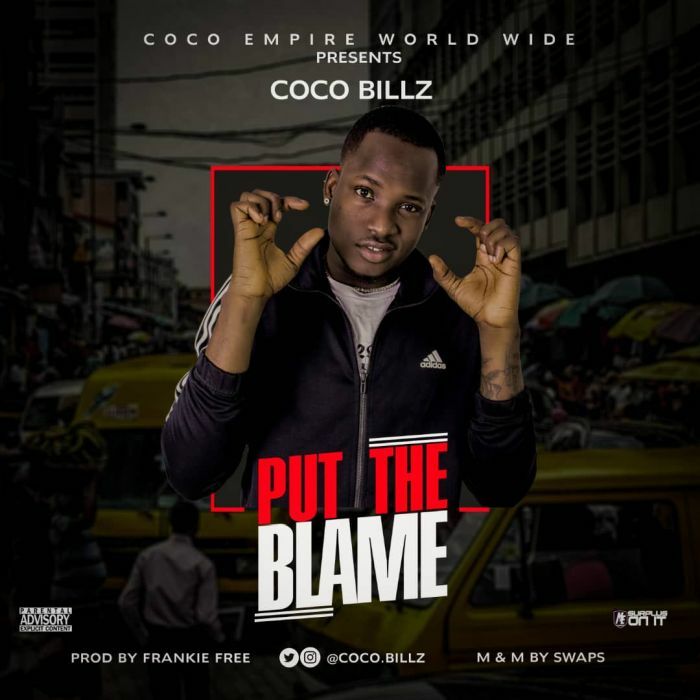 Coco Empire Worldwide presents her front-man artiste, Coco Billz, in a new single titled “Put The Blame“. “Put the Blame” is a brilliant Afro-Pop number which sees production credits going to ace South-South producer, Frankie Free, with mixing and mastering credits sledding towards none other than Swaps; the number shows Coco Billz‘s singing prowess and ability to hold the dance floor with such a subtle tune. Currently based in Cape Town, South Africa, Coco Empire Worldwide is said to be working on the official visuals to “Put the Blame,” as well as having the pair of Coco Billz and Frankie Free working together on a project which would see a series of songs being released in the months to come; listen up and share your thoughts.